This modern art sculpture would look at home on any mantle, side table, or desk…but as beautiful as it is, it also has a very important job to do. 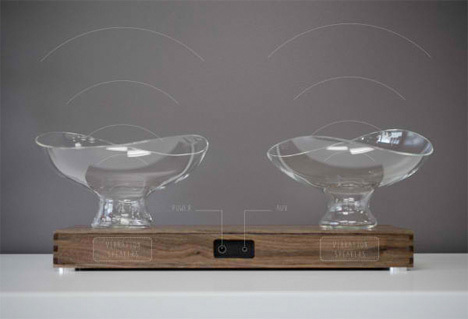 The two glass bowls and the wooden base are actually speakers, not just home decorations. Designer Casey Lin designed the Timbre Speakers after choosing materials for their acoustic properties. 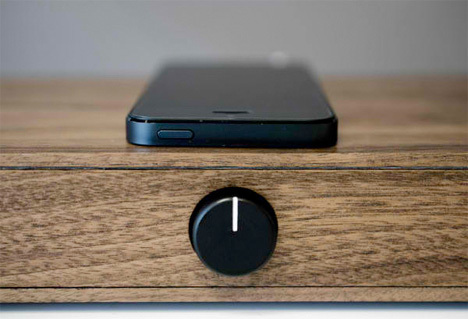 The wooden base hides all of the electronic bits while looking simple and lovely. The only clue to the assembly’s true nature is the small plastic power/volume knob. 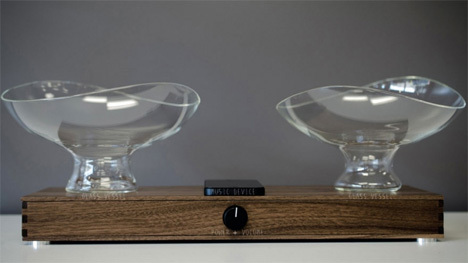 Inside the wooden box are surface transducers which cause the box’s surface to vibrate like a set of speakers when playing music. 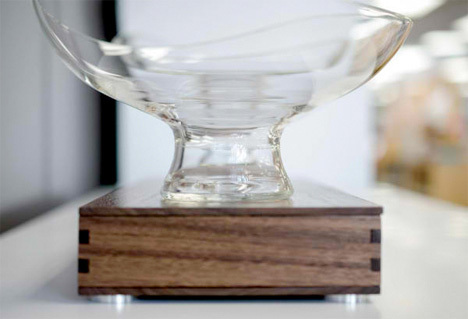 As the sound travels up to the glass bowls, it is amplified by the bowls’ concave shape. Since the bowls have uneven tops, they can be turned into different positions to change the treble and bass levels. Even when they are completely silent, these speakers are undoubtedly the kind you would want to display rather than hide. See more in Audio & TV or under Gadgets. October, 2013.